Design is created to be used, seen, and touched. We offer a world of design, an open learning environment, events, guided tours for all ages, design workshops and a garden open to all. We want to be a good place for a family outing, and a creative workshop for young and old. At Designmuseum Danmark, there are many options for cultivating imagination and curiosity. Every Sunday, and during school vacations, the Design Workshop is open for anyone who wants to learn how to work with design and creative handiwork. 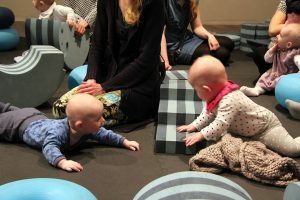 Remember that everyone under age 26 is admitted free to Designmuseum Danmark. 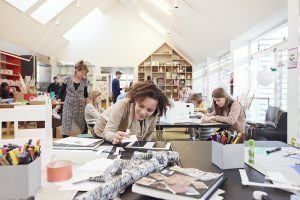 From the design process, fashion, chairs, and toys to pop-design. We invite children 5 years and older to try out hands-on design in our family workshop. Work creatively with materials and the process and create your own small souvenir to bring home. We get inspired by interesting pictures and small films,and create a good workshop atmosphere where everyone is welcome. 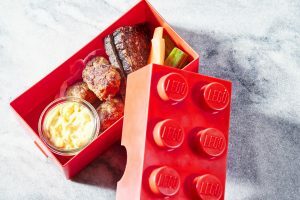 Our café has children’s meals, and we will be happy to adapt anything on the menu to children. We have high chairs for children and direct access to the museum garden. In the warmer months of the year, you can bring food to enjoy outside in the garden, right outside the café service area. We offer our guests with children a little start-up set. Play around in the Design Museum with small maps and assignments. We will hand you a set as you start your visit. 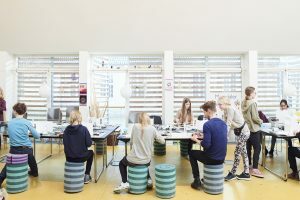 Did you know that Designmuseum Danmark has its own design school? 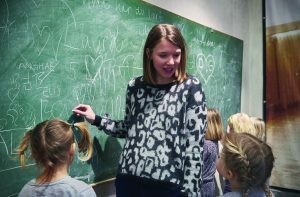 Children, teenagers and grown-ups attend Danish-language courses about design in their free time, and work creatively in our specially designed workshop building. We begin new classes twice a year and hold summer school. Take your teacher or your favourite grown-up with you to learn about design. 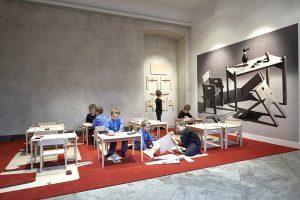 Designmuseum Danmark offers kindergartens, schools and other educational institutions a variety of Danish-language educational options, based on our museum and Design Workshop. Even very small children are welcome at the museum. There are diapering areas in the toilets in the entrance hall, and breastfeeding is allowed throughout the museum. To protect our collections, you are not allowed to bring your own baby carriages, prams, strollers or pushchairs into the exhibition areas. You can borrow a folding stroller at our ticket counter.